This is the perfect way to re-use your broken refrigerator and even if you don't have one they are easy to find. Perfect for those who entertain or just enjoy being outdoors in the warmer weather. 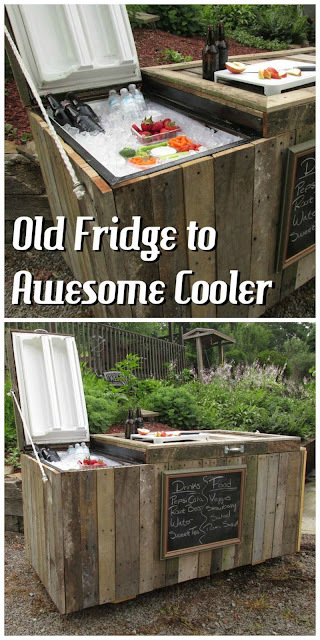 You can use your free pallet wood finds or use new wood if desired for your backyard cooler project. If you want to use a mini fridge you can make a smaller more portable version of this cooler.